A renowned chef who’s cooked for many presidents is using his $250,000 lottery prize to feed the homeless. Roberto Mendoza has been the chef for President Trump, Barack Obama, Bill Clinton, George Bush and international royalty. But his life wasn’t always so rewarding. Growing up in El Salvador during the war in the 80s, Mendoza said food wasn’t easy to come by. He was even kidnapped for two months. The Salvation Army found him and sent him to Canada for safety. From Canada, he went to California. “I know what it’s like to be hungry,” he said. “I told myself when I was a teen that, if I’m ever in a position to give back, I’d do everything I can to make sure no one else has to go hungry. Today, Mendoza cooks for the homeless in Charlotte, North Carolina, every Saturday. “What is in my heart, is cooking for the homeless,” Mendoza told TODAY. 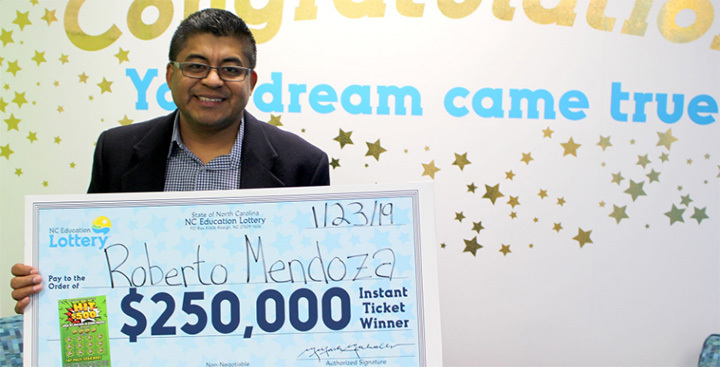 With his lottery winnings, he plans to build a cafeteria for a small village in the Dominican Republic, which he visits frequently. “This last December, I bring toys, clothes, shoes and cook for the little ones. This is a very poor village where sometimes they eat and sometimes they don’t,” he said.